Are you looking for concrete parking garage repair in Maryland, DC, Virginia, Baltimore, Arlington or the surrounding areas? Parking garages should be inspected regularly to ensure that they are safe for the public. Keep reading to learn how to determine if your parking garage is in need of repair, and where to turn if it does. If you need emergency concrete parking garage repair, contact us here or call (301) 261-4933 immediately to address the stability and safety of your structure. Parking garages that leak water through cracks or concrete joints typically need concrete repair as a preventative measure against further deterioration. As deterioration worsens, concrete spalling and delamination can occur, ruining the structural integrity of the garage. A good concrete repair company can carry out an inspection of your parking garage and identify potential problems, make repair recommendations, and provide you with a free cost estimate. What Kind of Parking Garage Repairs Should You Expect? If you’ve determined that you need concrete parking garage repair , it is important to know what type of repairs are available and appropriate for your situation. A concrete waterproofing system can prevent or minimize leakage through concrete structures and slow or eliminate the absorption of water. 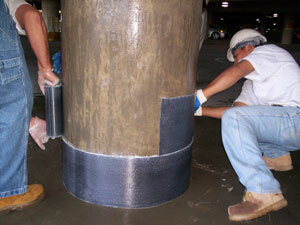 Joint sealants, weathering membranes, and sealers are also common parking structure repairs. Joint sealants are installed in between joints and are intended to minimize the likelihood of leaking and cracking. Weathering membranes provide a waterproof and decorative parking garage surface while concrete sealers penetrate the surface or concrete and provide a barrier against water. Before you choose a concrete parking garage repair company, we recommend comparing estimates and references from the top local repair companies in your area. Repairing concrete problems quickly will not only keep your parking garage safe, it will prevent problems from escalating and costing you even more money down the road. 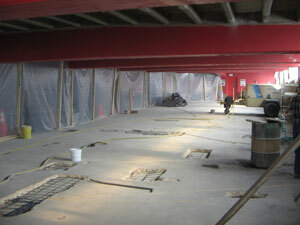 Inspect your parking garage structure regularly and have a qualified repair company make any necessary repairs. 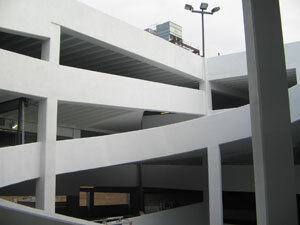 There are many concrete parking garage repair companies in the DC, MD, and VA area for you to choose from but, if you want the best, turn to the skilled professionals at Concrete Restoration, Inc.
We have been in the concrete parking garage repair business since 1981, and know exactly what it takes to maintain your parking structure. If you own a parking garage in Maryland, DC, or Virginia that’s in need of repair call (301) 261-4933 today to schedule a free estimate or click here to contact us online. We’ll gladly carry out an inspection and repair your concrete parking garage so that your structure is once again safe and presentable.